Perched majestically on the outer edge of Mismaloya cove, with a North/South wing and an East/West wing, Casa La Vista (Translated "house with the view") has a combination of amazing views quite unique and impressive! 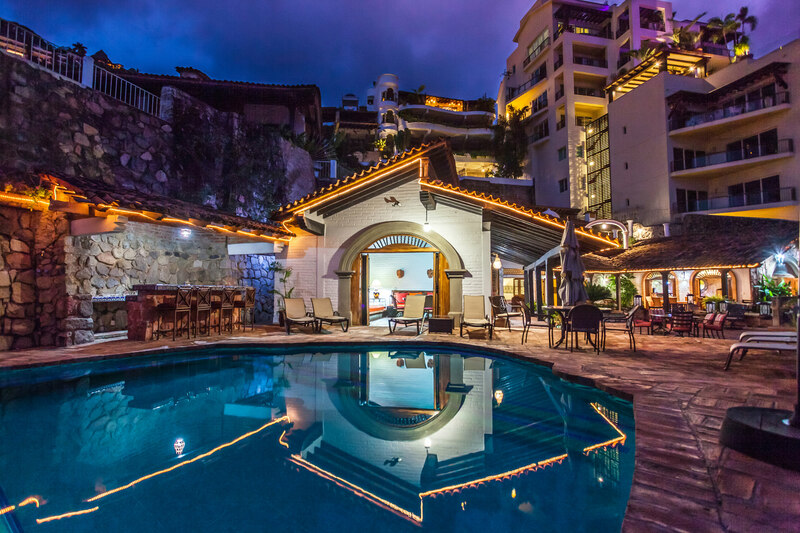 This luxury villa is decorated with modern Mexican décor and architectural details that include elegant marble and cantera floors, skylights, gourmet kitchen with granite countertops, enormous rooftop sun deck, private man made beach. Bedroom #5 2 single beds.